Twenty seconds of laser light can remove pigment in brown eyes so they gradually turn blue. 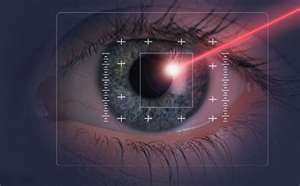 The process involves a computerized scanning system that takes a picture of the iris and works out which areas to treat. Other eye experts have expressed reservations. “The pigment is there for a reason. If the pigment is lost you can get problems such as glare or double vision,” said Larry Benjamin, a consultant eye surgeon at Stoke Mandeville Hospital, in the UK. The pigment called melanin does not regenerate so the treatment is irreversible. Dr. Homer said that he only removes the pigment from the eye’s surface. “This is only around one third to one half as thick as the pigment at the back of the iris and has no medical significance,” he said. Dr. Homer also claimed patients would be less sensitive to light than those born with blue eyes. He reasoned that brown-eyed people have more pigment in the other areas of their eyeballs, and most of it will be left untouched. “We run tests for 15 different safety examination procedures. We run the tests before and after the treatment, and the following day, and the following weeks, and the following months and the following three months. Seventeen people have been treated so far. All are very short-sighted. They have been offered lens transplants in return for taking part. Dr. Homer said the work is checked by a board of ophthalmology experts to ensure it is up to standard.